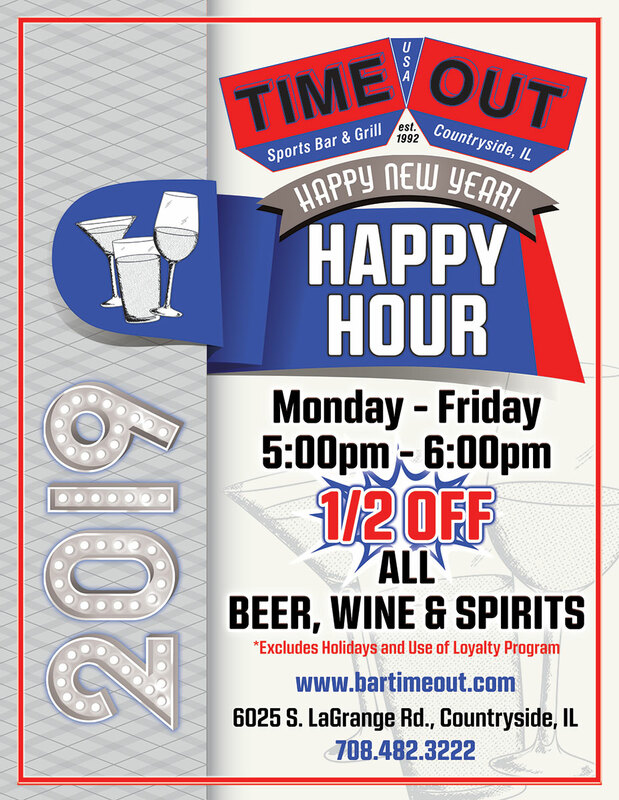 exclusively at Time Out for now! Lots of HD TVs, Craft Beers, Great Pizza & Wings, Full Food Menu, Comfy Atmosphere, Solid Service, Full Liquor Bar, Bucket Specials Daily, Pool Tables, Darts & Video Gaming (Gambling). Countryside, LaGrange, LaGrange Park, Brookfield, Hodgkins, Lyons, Indian Head Park, Western Springs, Hinsdale, Willow Springs and more! Notice: Time Out is Concealed Carry Prohibited Area.